AMSTERDAM, 9, SEPTEMBER, 2011 — RTW, a leading vendor of visual audio meters for professional broadcast, production, post-production, and quality control, will be showcasing at IBC 2011 its new loudness-range instrument (LRA) for many of its metering products. The new combination instrument will be incorporated into software versions for the TouchMonitor (V2.x), Surround Control 31900/31960 (V4.x) and the SurroundMonitor 11900 (V4.x), all of which will be on display for IBC attendees to see first-hand (Hall 8, Stand E76). The extensive paradigm shift from traditional PPM metering to loudness metering in the pro-audio industry will be successful only if it becomes straightforward for any user groups affected by it. Now with the new LRA introduction, RTW has made another significant contribution to this trend. 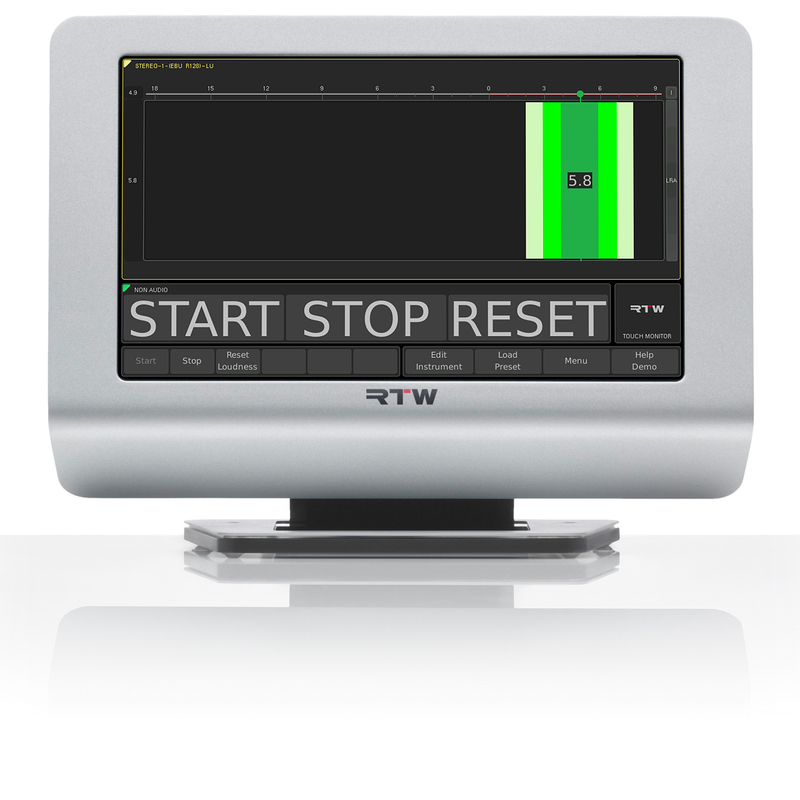 RTW has always been a worldwide pioneer in loudness metering and continues to lead the way by integrating this innovative LRA instrument into the current software versions of its top-selling TouchMonitor as well as the SurroundControl 31900/31960 and SurroundMonitor 11900 series of products. The new LRA instrument combines the measurement and visualization of two critical loudness parameters in a straightforward and intuitive way. In addition to highly complex loudness instruments for the production area requiring in-depth user knowledge, there is an increasing demand for easy-to-use tools. Those tools must allow for viewing and evaluating critical loudness parameters intuitively and even without technical expertise. Using such an instrument, even non-engineers can quickly assess whether a product meets the requirements or not. - Program loudness, i.e. the integrated loudness of the overall program. The integrated measurement specified in EBU R 128 was developed for this purpose. - Loudness variances within short time periods. These are measured against the Loudness Range (LRA) descriptor specified in EBU R 128, too. While integrated measurement provides information on the overall program loudness, the LRA parameter allows for making assumptions on whether the program requires dynamic processing with regard to the intended distribution path (or whether previous dynamic processing was too strong). For example, the original soundtrack of a cinema film may have higher LRA values than the signal used for TV broadcasting of the same film. 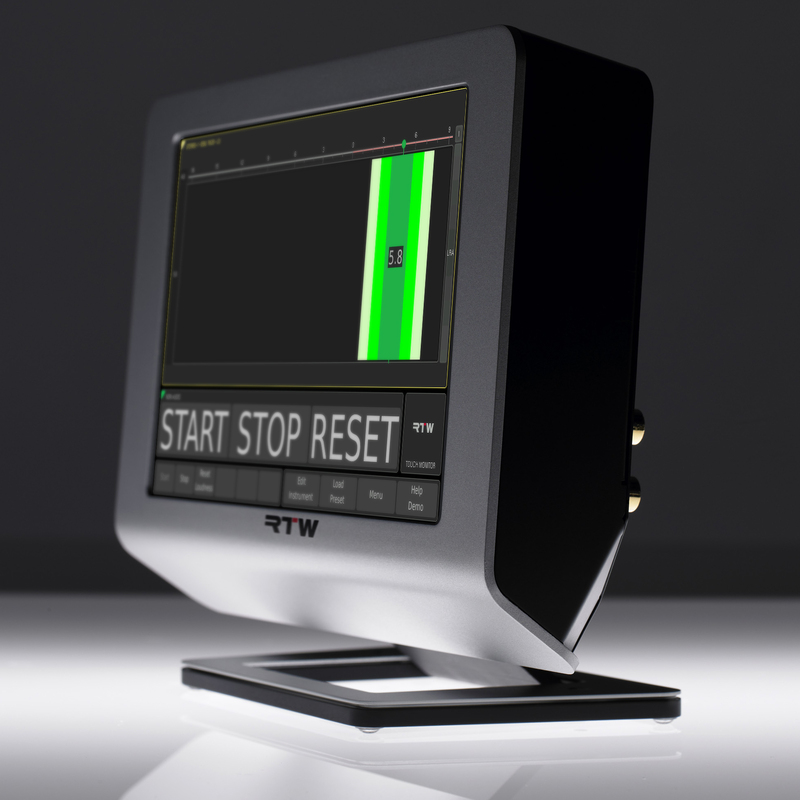 When developing the LRA instrument, RTW’s focus was on visually representing the two parameters that are so critical for loudness metering in a way that the user can follow them intuitively, quickly, and without any background knowledge. In addition to separate visualization of the two parameters, the new RTW instrument, if set to "MagicLRA + I" mode, even provides a combo view. The LRA-bar width and color reflect the current LRA value while its position on a LU or LUFS scale indicates the measured program loudness. This way, the most important loudness metrics are available at any time in an easily readable space-saving format. In the simplest case of a relative measurement where 0 LU is the target value specified in the applied standard (e.g. –23 LUFS in case of EBU R 128), the user just needs to make sure that the indicator remains in the 0 LU range and, for example, that the LRA bar stays green. As with all RTW instruments, colors and thresholds are, of course, customizable. RTW, based in Cologne (Germany), has more than 40 years of experience in designing, producing, and marketing advanced recording-studio systems. The company focuses its business on professional audio signal metering tools that are in use in the leading recording studios as well as by radio and TV broadcasters worldwide. The current product portfolio highlights the TouchMonitor range, a new series of tools for visual signal analysis and comprehensive loudness metering. TouchMonitors combine highest flexibility and modularity with an intuitive user interface and touchscreen-based multichannel-analysis features, integrating exceptional surround-signal visualization using the unique and groundbreaking Surround Sound Analyzer. The high-end SurroundControl series of products with fully fledged loudness measuring combines the convenient metering options of the RTW surround display devices and the control functions of an eight-channel monitoring controller.